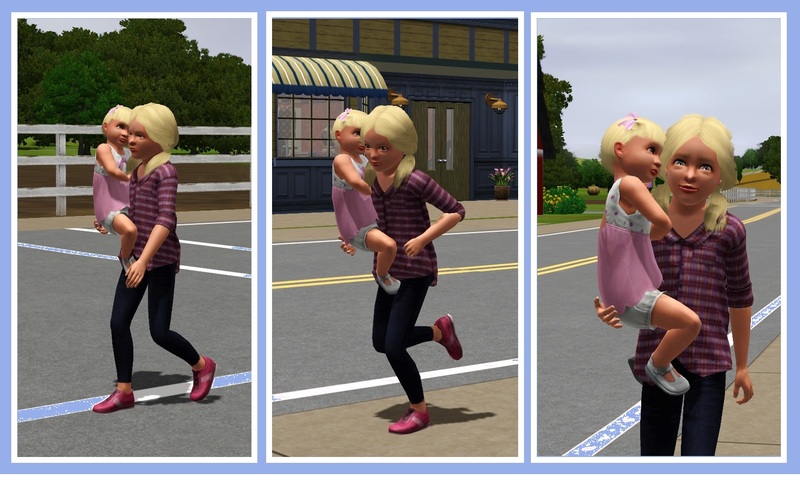 This is a mod to allow children to carry toddlers, made by me, PuddingFace and Sofmc9. 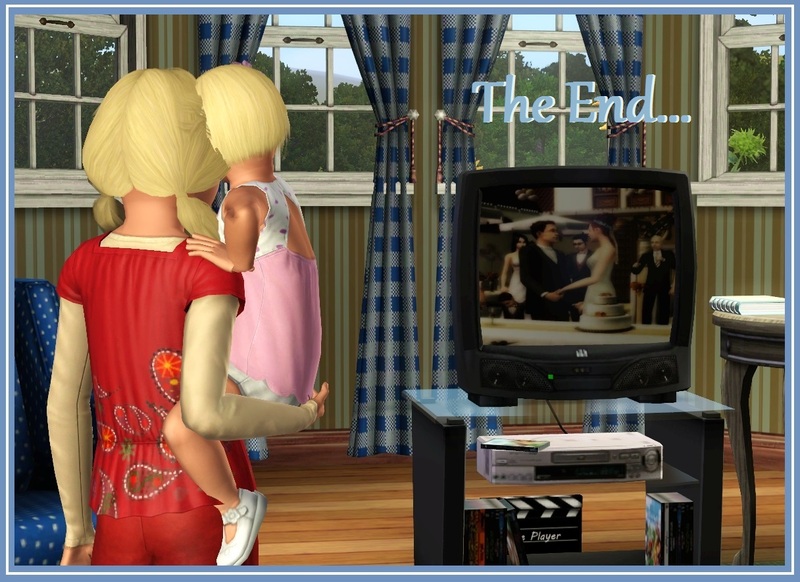 I always remembered taking care of my little cousin when I was small, so I thought let's make it possible in the Sims 3! 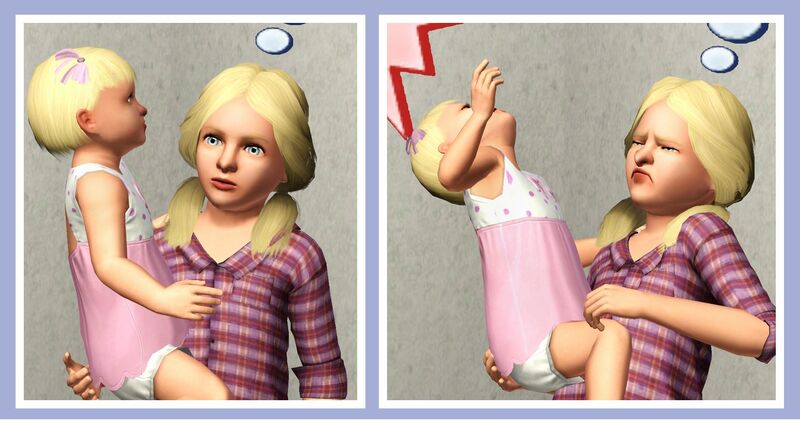 So one day I was testing out an animation I made for children to tickle toddlers the Sims 2 way, and so I went into the options of NRaas Returner and saw a boat load of other interesting interactions, I saw one to pick up the toddler, so I enabled that, but sadly it was "locked" for only adults to perform with it, so I asked my good friend Skydome to make a pick up interaction for them, and I was busy making animations for them. 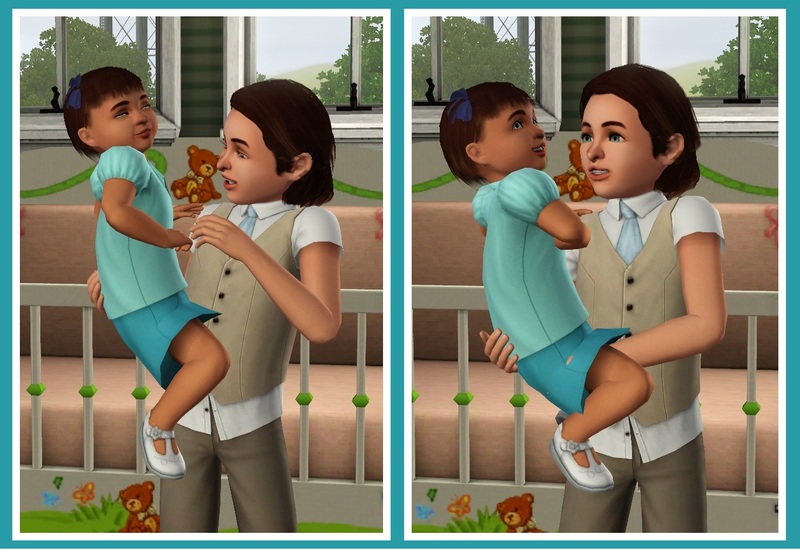 And so then when I tried it all out, it was okay, child did stretch their neck but I soon fixed that, but then I encountered a bigger problem: the toddler would float around when they used my idles I made for them, so I just had to use EA's toddler idles. 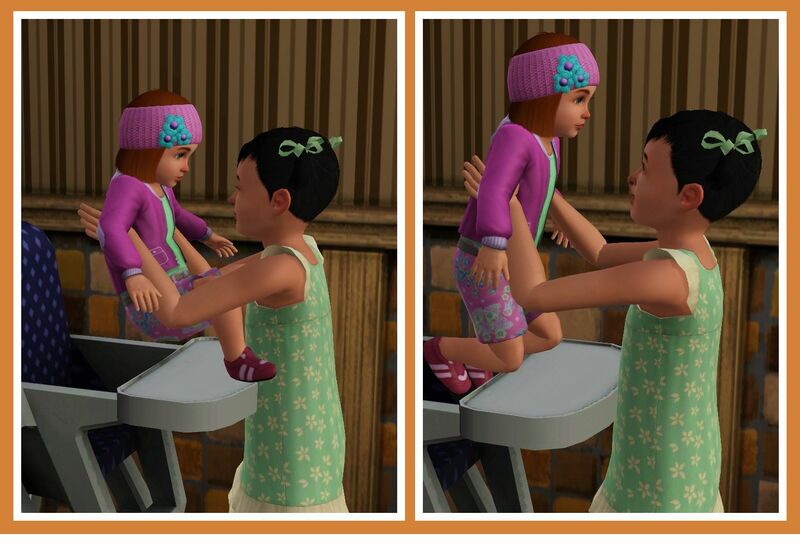 And then another good friend of mine made a tuning mod for the child to tickle and toss the toddler in the air. And now here I am uploading this, I never thought anything like this would be possible, but I guess it's just what I say, anything is possible . So thank you NRaas Returner for inspiring me, this mod probably wouldn't have existed if Returner didn't. 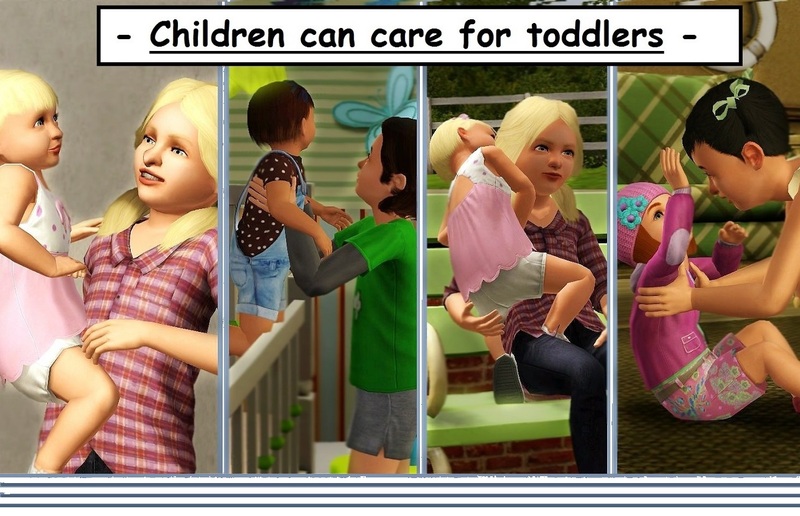 So, basically this mod allows children to carry toddlers and more or less take care of their basic needs without stretching. - This mod was built and tested with game version 1.69, but should work with other versions. - What type of mod is this? - This is a tuning mod along with PuddingFace's pick up child script mod. - Animations - most animations are custom made, but some have been converted but tweaked a bit. Some animations may not look very nice, like the change outfit and toss in air interactions. 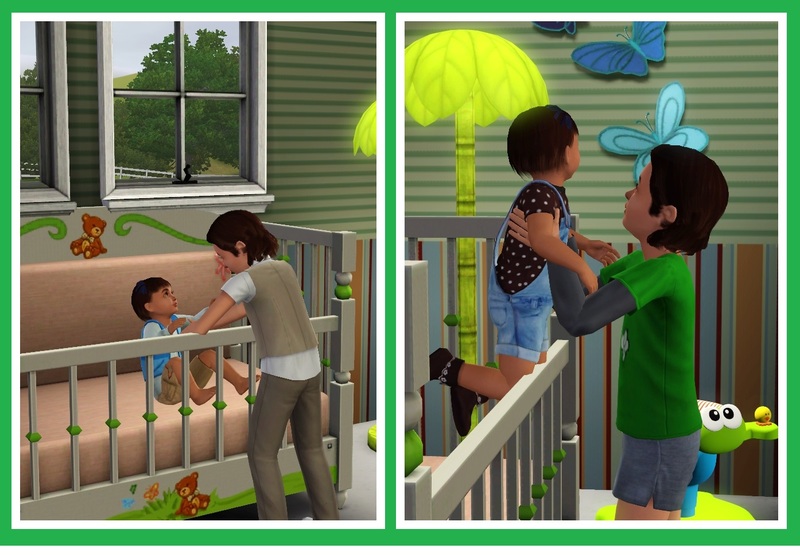 Also, the toddler was originally lower but due to location problems they have been raised and using EA's carry toddler idles. 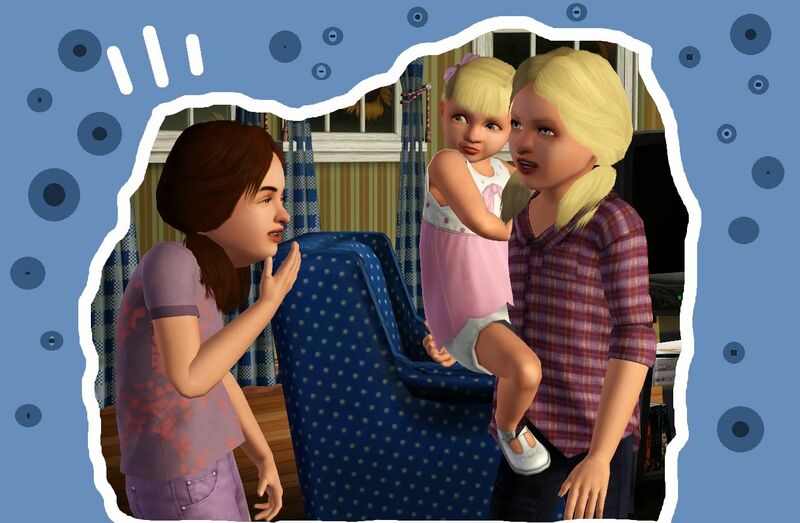 - Children can put in and take toddlers out of cribs and high chairs, sit down with them, walk to lots with them (they can't ride their bikes while holding a toddler) and interact with other sims, basically do whatever an adult sim who's holding a toddler can do. - Children can autonomously take out toddlers from high chairs and cribs, and will usually perform a toss in air or tickle interaction to them. But, they can't necessarily take care of toddlers autonomously by holding them and putting them into a crib or high chair. Please also read the ReadMe file for more notices you might want to know about. -Put a tired toddler to bed. Some interactions, as I also said before, might not look very good in a way of clipping or floating, such as the tickle, toss in air and change outfit. Others such as put in crib, take out high chair look okay. 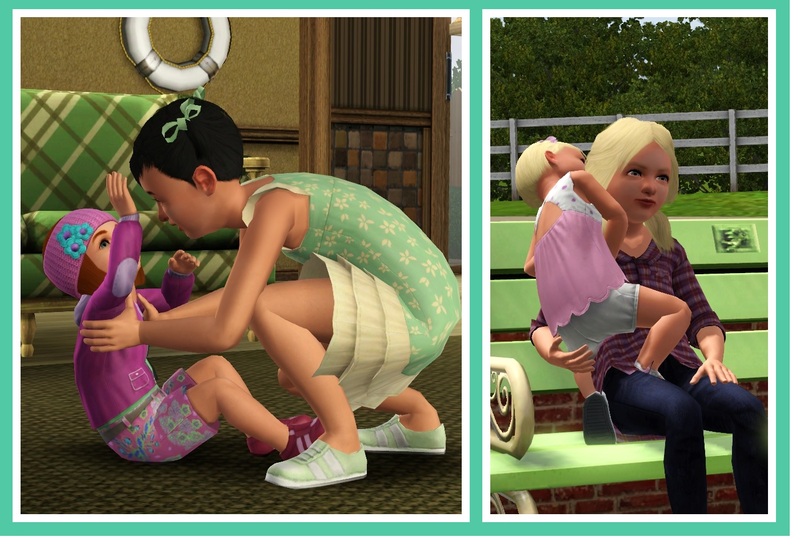 Children also will not stretch when performing the interactions. I am not very keen of the tickle and toss in air animations IMO. Children can also rock with a toddler if you have Supernatural's rocking chair or store rocking chair. like NRaas GoHere has an option to disable babysitters. 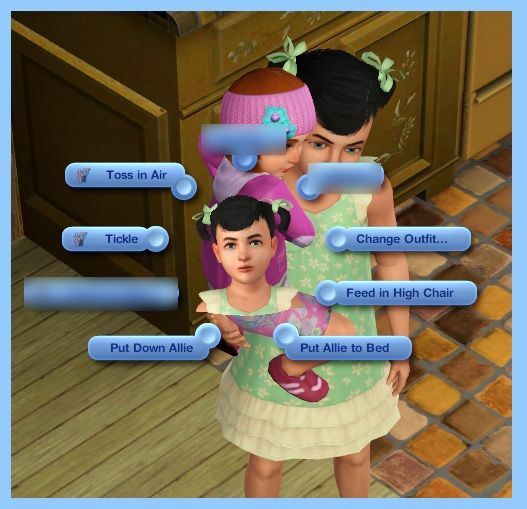 -If you command your sim child to tickle, toss in air, put in crib, feed in high chair or change outfit to a sitting toddler, they will not do it due to something in the script. So a child has to first be holding a toddler before performing any interactions on them. -The child's arm may be too apart from the toddler sometimes, like when they sit down but it's minor. This mod will conflict with any other tuning mod that changes any of the interactions listed above. -Please do not re-upload our mod to paysites or claim it as your own! -PuddingFace for scripting the pick up interaction. -Sofmc9 for adding in the toss in air and tickle tuning.